Kendra Gagnon is a Clinical Associate Professor and Director of Student Affairs in the Baylor University Doctor of Physical Therapy Program. Dr. Gagnon teaches PT Management of the Pediatric Patient, Professional Competencies 1 and 2, and Mindful Patient Management. She earned her MPT at the University of Missouri (2001) and her PhD at the University of Kansas Medical Center (2009). Dr. Gagnon is a pediatric physical therapist and has practiced in early intervention and school-based settings in North Carolina, Kansas, and Missouri. Her passion is working with children and their families and teachers to provide early movement opportunities in “real-world” environments – home, school, and community. Dr. Gagnon is active in the Academy of Pediatric Physical Therapy (APPT) and currently serves as Chair of the APPT Communications Committee. Her primary research interests include using enriched natural environments to promote social mobility, as well as the impact of new technologies on health care education and practice. 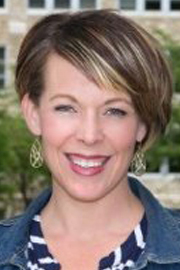 She has served as a presenter at national conferences such as the APTA Combined Section Meeting, Educational Leadership Conference, and APPT Annual Conference. Her work appears in several peer-reviewed journals including Physical Therapy, Advances in Neonatal Care, Journal of Allied Health, and Physical and Occupational Therapy in Pediatrics.